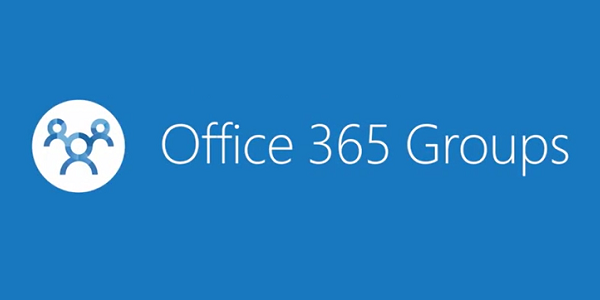 As a Microsoft Office 365 user, one of the most valuable 365 features available to you is Groups. In fact, Office 365 Groups allow your organization to set up Microsoft Teams that correspond to departmental divisions: marketing, administration, sales, product development, etc. The Teams feature lets the individuals in a particular team communicate quickly and easily. Unfortunately, both Groups and Teams are only available via the cloud. This means that attempting to make these Microsoft Office 365 features work alongside Active Directory groups isn’t easy. Up until now, the only way to enable extra functionality with groups in Active Directory was pretty cumbersome. If you tried to merge those groups with the ones in Office 365, you’d end up with all sorts of issues. And although using Azure AD to connect and sync Active Directory groups is technically possible, trying to make those groups work with Office 365 Unified Groups and/or Microsoft Teams simply isn’t. At JourneyTEAM, we took on a client project involving a lot of pre-existing Active Directory groups. The client relied heavily on these groups, and they wanted to be sure that they could keep them functioning while they made the switch to Microsoft Teams in Office 365. The question was: how could they avoid losing all of those groups, or having to recreate them? We won’t lie: putting together this fix wasn’t easy. However, thanks to our talented PowerShell scripting team, we were able to create a PowerShell script which leverages the power of Azure AD Premium to handle all of the above tasks on the back end. First, our script writes a value into each Active Directory security group user’s extensionAttributeXX. Once this is done, the script can examine Azure AD to look for a matching team in Office 365. If no match is found, the script creates a new Microsoft Office 365 Team using the Dynamic Attribute rule. Azure AD then uses the extensionAttributeXX data to add users to the group that’s been created. And, if anything changes in the Active Directory group -- such as a new or deleted user -- their updated extensionAttributeXX results in an immediate change in Office 365. We’ll admit: it’s a bit complicated when you break it down piece by piece. But for you as a user, all of this is automatic! We’ll even create specific scripts to ensure that no user duplication occurs, too. Are you ready to use your Active Directory groups in combination with Office 365? If so, we’ve got the solution! To find out more, visit the JourneyTEAM website or call us at 900.439.6456.
an expert on this houjse to unravel my problem. Maygbe that’s you! Taking a look ahead to peer you.